Northern Virginia offers a wide variety of attractions including monuments, museums, parks, historic sites, performance venues and much more. With its varied landscape and proximity to Washington, D.C., this region is a prime place to visit with its own unique treasures. From its urban communities to its rambling countryside, Virginia is a fun place to explore. Arlington National Cemetery is Northern Virginia's most famous attraction and one of the area's "must sees." More than 400,000 American service members, veterans, and their family members are buried at the 612-acre national cemetery, located just across the Potomac River from the nation's capital. Walk the grounds and see the graves of notable Americans such as Presidents William Howard Taft and John F. Kennedy, Jacqueline Kennedy Onassis, and Robert Kennedy. See the changing of the guard at the Tomb of the Unknown Soldier and visit Arlington House, the former home of Robert E. Lee. Mount Vernon Estate and Gardens, George Washington's family home located along the shores of the Potomac River, is the most scenic tourist attraction in the region. Visit the mansion, the outbuildings, the gardens, and the museum and learn about the life of America's first president and his family. Mount Vernon is one of the prime historic landmarks in the Washington, D.C., area and one to be sure to visit. Throughout the year, there are many special programs and events for all ages. The 800-acre Great Falls National Park, located along the Potomac River, is one of the most spectacular natural landmarks in Northern Virginia and an excellent destination for outdoor recreation. Visitors enjoy the beautiful views and a variety of activities such as hiking, picnicking, kayaking, rock climbing, bicycling, and horseback riding. The Northern Virginia location of the Smithsonian National Air and Space Museum, located adjacent to Dulles International Airport, displays the massive space shuttle Discovery, the Lockheed SR-71 and numerous aircraft, spacecraft and other artifacts. There is also an IMAX theater, simulator activities, and a variety of exhibits for children. The U. S. Marine Corps War Memorial honors the Marines who have died defending the United States since 1775. The 32-foot-high sculpture of the Iwo Jima Memorial was inspired by a Pulitzer Prize-winning photograph of one of the most historic battles of World War II. The impressive memorial is one of Northern Virginia's most prized attractions. The Air Force Memorial, honoring the millions of men and women who have served in the United States Air Force, symbolizes flight and the flying spirit with three stainless steel spires that soar 270 feet high and represent contrails of the Air Force Thunderbirds as they disperse in a "bomb burst" maneuver. America's National Park for the Performing Arts hosts a wide range of performances ranging from pop, country, folk, and blues to orchestra, dance, theater, and opera. The Northern Virginia concert venue offers performances and educational programs all year long. The 7,000-seat Filene Center is an ideal venue for a summer concert. The 5,000-acre park preserves the site of the First and Second Battles of Manassas during the Civil War. The Henry Hill Visitors Center features a 45-minute orientation film and a museum exhibiting civil war era uniforms, weapons and artifacts. 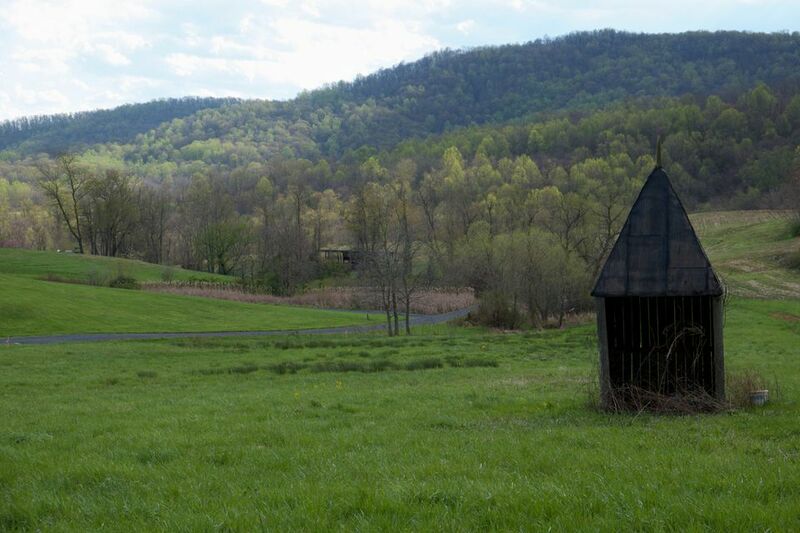 The Northern Virginia attraction offers a variety of activities, scenic vistas, and walking trails. The state-of-the-art museum uses interactive technology, multi-media exhibits and thousands of artifacts to bring to life the values, mission, and culture of the Marine Corps. It is located on a 135-acre site next to the U.S. Marine Corps Base at Quantico, Virginia. The museum is a part of the Marine Corps Heritage Center, which is a complex of facilities that also includes a memorial park, parade grounds, artifact restoration facilities, and an on-site conference center and hotel. The aptly-named Torpedo Factory Art Center is a top attraction in Old Town Alexandria, located along the docks of the Potomac River. Built during World War I as a munitions factory, the building now houses a visual arts center consisting of three floors with 84 working studios, five galleries, two workshops, the Art League School, and the Alexandria Archaeology Museum. This is a great place to meet and watch artists at work and to find unique gifts or decor for your home. An underrated attraction in Northern Virginia, the George Washington Masonic Memorial houses a museum about the history of the Freemasons in the United States. The building is located in the heart of Alexandria, Va., near the King Street Metro Station. It also serves as a research center, a library, community center, a concert hall, and a site for local and visiting Masonic lodges. Guided tours are available. The Mount Vernon Trail is an 18-mile paved multi-use recreation trail that follows the west bank of the Northern Virginia side of the Potomac River from Theodore Roosevelt Island to George Washington's Mount Vernon Estate. The path is a favorite of area cyclists and runners and offers terrific views of D.C.’s famous landmarks. The 95-acre garden is a beautiful and peaceful place to explore with its' walking trails, lakes, cherry trees, irises, peonies, an extensive shade garden, native wildflowers, gazebos, birds, and butterflies. There's an indoor atrium, picnic areas, and educational facilities that offer gardening and horticulture workshops, tours, field trips, concerts, and volunteer programs. During the holiday season, Meadowlark hosts a Winter Walk of Lights, a walking tour with animated lights. The 500-seat music venue offers a variety of live performances of folk, jazz, rock, gospel or alternative music. The Birchmere has hosted top acts like Johnny Cash, Mary Chapin Carpenter, Dave Matthews, Ray Charles, the Dixie Chicks and more. The venue’s second stage, the Bandstand, provides standing-room-only concerts with space for dancing. Claude Moore Colonial Farm at Turkey Run is an 18th-century living history farm that features self-guided tours through a recreated pre-Revolutionary tenant farm. Costumed interpreters portray tenant farmers, and farm animals roam the grounds. Educational programs and special events are available. The park is located in McLean, Virginia and open April through mid-December.